The salmon season in Bristol Bay, Alaska was record breaking this year, yet fisheries in other parts of the state failed. SeaShare received a call from the Alaska Department of Fish and Game to ask for help supplying seafood to communities around Chignik. 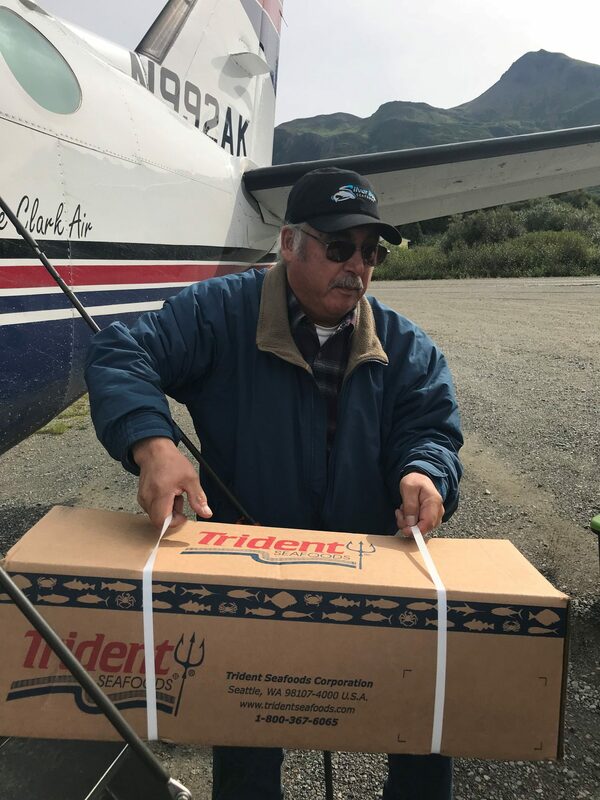 We contacted our friend Jed Skidmore at Trident Seafoods in Kodiak, and he was able to process, freeze, and share 350 pounds (1,400 servings) of lingcod with us. The lingcod came at a critical time, at the end of the summer, when Kate Conley, the Borough Clerk and Community Development Coordinator in the Lake and Peninsula Borough reported 91% of households surveyed in Bay, Lagoon, Lake, and Perryville were struggling to fill their freezers for the winter. Kate was able to find donated air transport to get the lingcod to those communities. We're happy we could help connect high quality seafood from Trident with people in need nearby. Trident's Jed Skidmore said, "the Kodiak Trident team is grateful for the partnership we have with the SeaShare organization. We are especially pleased to be have been able to provide quality protein to families in Chignik. The community of Chignik has long supported Trident Seafoods, and we appreciate the relationships we have built. Lingcod getting delivered in rural communities by the Lake and Peninsula Borough team.